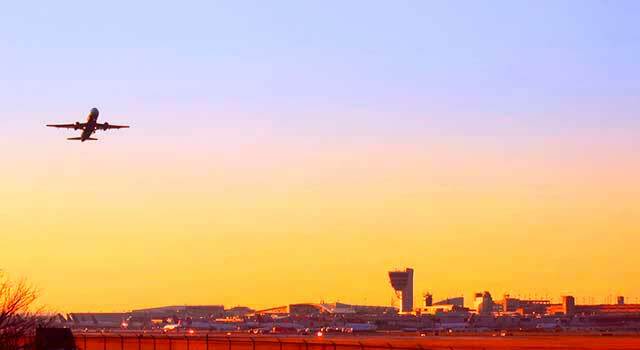 Use this website to quickly find the most important information about Philadelphia Airport: Flights (Departures, Arrivals), Parking, Car Rentals, Hotels near the airport and other information about PHL Airport. 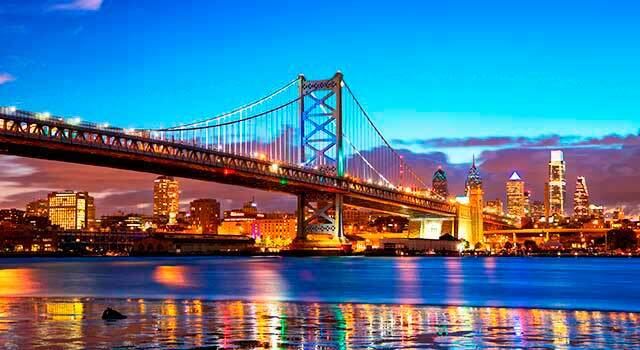 Plan your travel to Philadelphia Airport with the information provided in this site. Philadelphia International Airport (IATA: PHL, ICAO: KPHL, FAA LID: PHL), also known as PHL, is an important airport in Philadelphia, Pennsylvania, United States. Philadelphia Airport (IATA: PHL) is the busiest airport in Pennsylvania. The airport is located 10 miles southwest of downtown Philadelphia. Philadelphia Airport served 29,5 Million passengers in 2017. There are seven terminal buildings in Philadelphia Airport. All terminals are connected in the airside, and is posible to walk to each terminal. The airport is located 10 miles southwest from downtown Philadelphia, next to Delaware River, whilst the terminal is located in Tinicum Township, Delaware County. 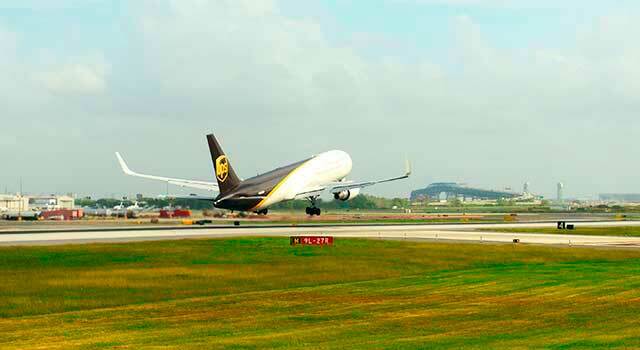 The airport is a major international hub for American Airlines and a regional cargo hub for UPS Airlines. PHL Airport serves many destinations not only within the US, also to Canada, the Caribbean, Latin America, Europe and the Middle East. In 2017 the airport handled 29,585,754 million passengers. During the last decade the passenger traffic at Philadelphia airport has been really stable, handling between 30 and 31 million passengers annually. The top ten busiest routes (domestic and international) to/from PHL Airport are: Orlando, Atlanta, Chicago, Boston, Dallas, London, Charlotte, Los Angeles, Fort Lauderdale and Denver. PHL Airport consists of seven terminal buildings, divided in 7 concourses. In total, the airport has 124 gates. - Terminal A West: It has 13 gates: from A14 to A26. It’s home for American Airlines and hosts domestic and international flights. 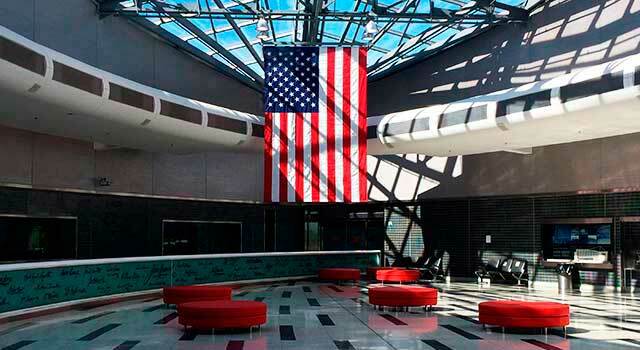 - Terminal A East: American Airlines operates with domestic and international flights. It has 11 gates: A2-A13 (except A5). A1 is used by American Eagle. See more info. - Terminal B and C: Both terminals are used by American Airlines and are connected by a food court and a shopping mall known as “Philadelphia Marketplace”. Terminal B has 15 gates: B1-B16 (except B12). Terminal C has 15 gates: C18-C31. See more info. - Terminal D: It is home for Alaska Airlines, Air Canada, Delta Air Lines and United Airlines. It has 16 gates: D1-D16. It connects with Terminal E.
- Terminal E: It is home for JetBlue Airways, Frontier Airlines and Southwest Airlines (and also Delta Air Lines and Delta Connection ticketing). It has 17 gates: From E1 to E17. It connects with terminal D.
- Terminal F: Used for American Eagle. It has 38 gates: F1-F39 (except F8). There are different companies that provide service at Philadelphia Airport. Check here the different options! Train: Frequent Train transportation between downtown Philadelphia and the airport is provided by SEPTA. Train stop at every terminal, excepting Terminal A West. Bus: SEPTA also provides bus transportation by 3 routes. The buses get to: South Philadelphia and Chester, 69th Street Transportation Center and Suburban Square, Ardmore. Taxis: Getting by Taxi to downtown Philadelphia is super easy! The average transfer time is of 20 minutes, and also there's a flat fare of $28.50. Find them at Zone 5 on the Commercial Transportation Roadway. To get more information, please visit the transportation page. 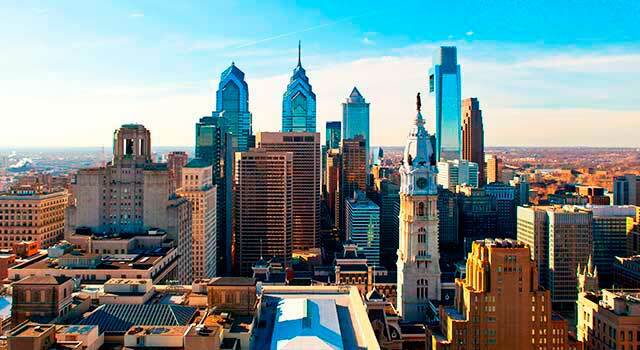 Philadelphia Airport provides to all passengers a lot of services and facilities located at the different terminals: Bars and Restaurants, Shops (electronics, jewelry, music, books and magazines, sunglasses, cosmetics), Travelex, Spa. Through the airport there are also ATMs, Charging stations, mother’s nursing rooms, free Wi-Fi or Art Exhibitions. Opening hours: From 08:00 am to 00:00 am.